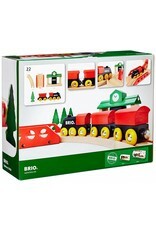 A classic starter train set with all wooden details. 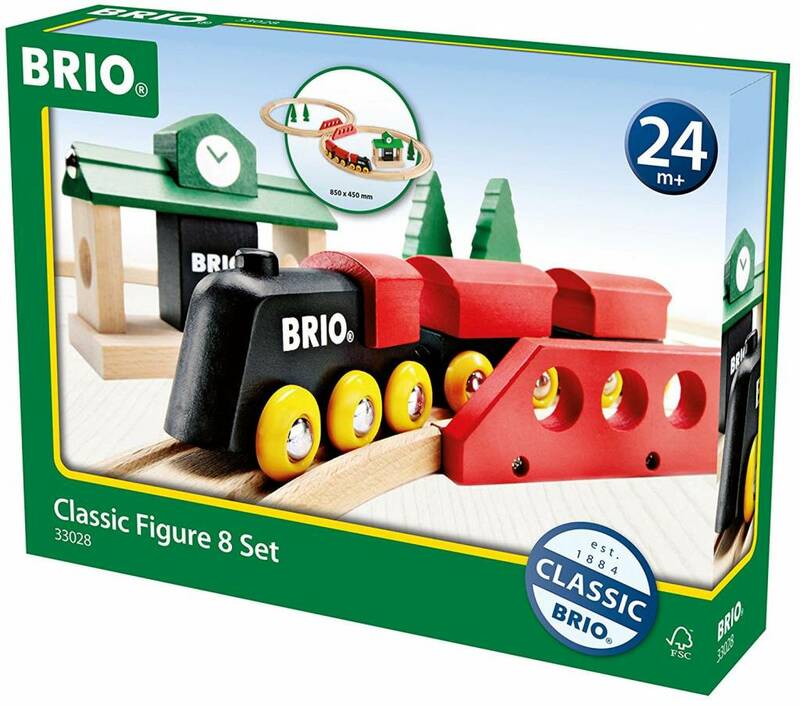 Take the classic-inspired engine out on an adventure along the tracks. 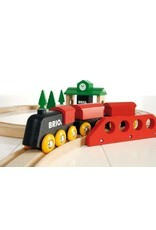 Stop by the station and continue along the tracks passing by trees and a crossing bridge. 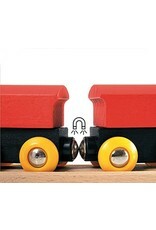 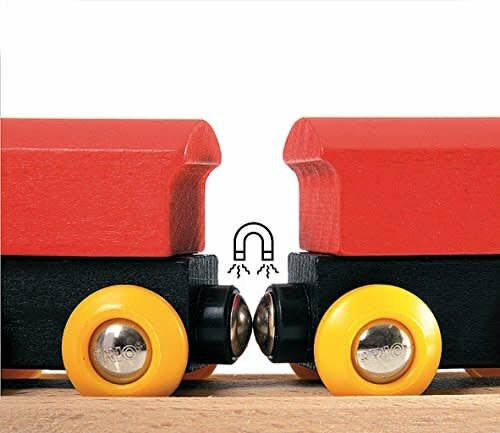 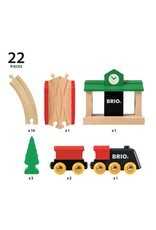 Founded in Sweden in 1884, BRIO makes high-quality wooden toys that are both educational and fun. 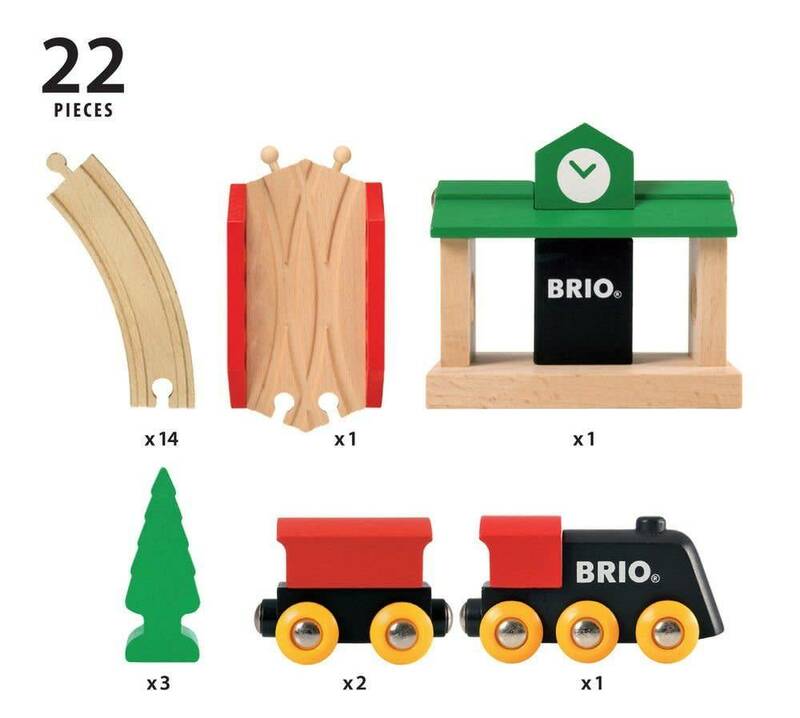 BRIO's uncompromising focus on design, quality and craftsmanship create toys of lasting value that stimulate creativity and imagination. 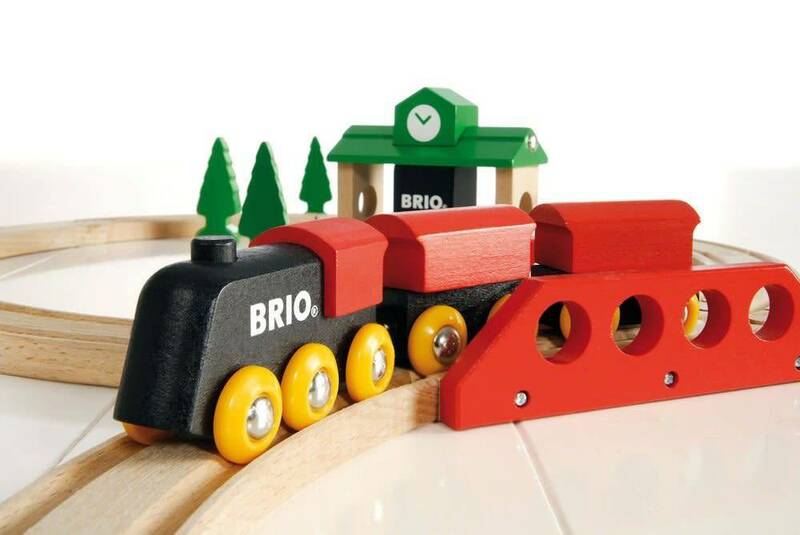 Engaging play and learning are integral themes in all BRIO toys through their various phases of development. 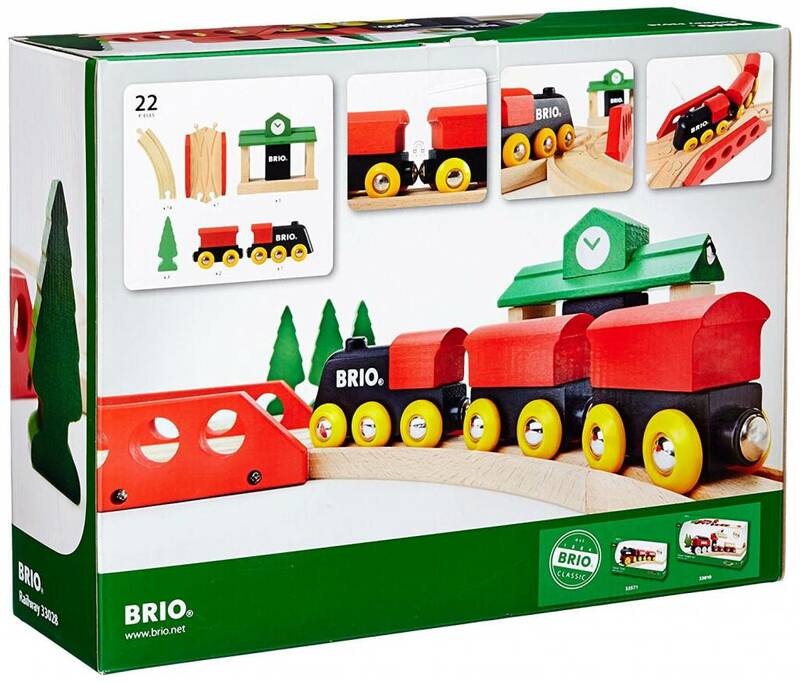 All wood used in BRIO toys comes from responsibly managed forests that are FSC (Forest Stewardship Council) certified.